The real name of this software is OCR to Any Converter Command Line as it can convert most common files like scanned PDF, TIFF and Image files (JPEG, JPG, PNG, BMP, GIF, PCX, TGA, PBM, PNM, PPM) to editable Word. Converting PDF to word is a slice of its function. When downloading finishes, there will be an zip file. Please unzip file then find executable file in extracted folder. Run bat file then you can check the conversion effect at once. Here is the usage for your reference. When converting PDF to Word by command line, please refer to the following command line templates. When converting test based PDF file to word, please use the above command line. When you need to convert image PDF or scanned PDF to word, please use the above command line. This command line template can help you convert PDF to docx file. 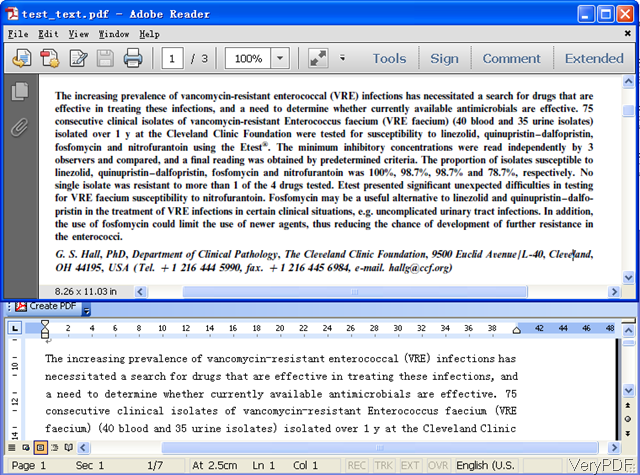 When you need to convert PDF to word in batch, you can use wild character to run the conversion. When you need convert image PDF to word and specify conversion page range, please refer to the above command line. for %F in (D:\temp\*.pdf) do ocr2any.exe -ocr2 -lang deu "%F" "%~dpnF.txt"
for %F in (D:\temp\*.pdf) do ocr2any.exe -ocr2 -lang eng "%F" "%~dpnF.doc"
By the above command line, you can run the conversion in batch by bat file. Now let us related parameter definition. After conversion, you can check, all the layout, format and fonts style can be kept in the output word document. During the using, if you have any question, please contact us as soon as possible. This entry was posted in OCR Products and tagged command line, PDF to Word. Bookmark the permalink.